There are good moms and bad momsand then there are hot-mess moms. Introducing Ashley Keller, career girl turned stay-at-home mom who's trying to navigate the world of Pinterest-perfect, Facebook-fantastic and Instagram-impressive mommies but failing miserably. When Ashley gets the opportunity to participate in the Motherhood Better boot camp run by the mommy-blog-empire maven she idolizes, she jumps at the chance to become the perfect mom she's always wanted to be. But will she fly high or flop? 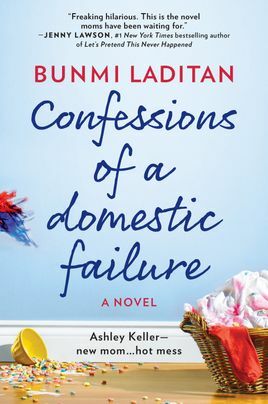 With her razor-sharp wit and knack for finding the funny in everything, Bunmi Laditan creates a character as flawed and lovable as Bridget Jones or Becky Bloomwood while hilariously lambasting the societal pressures placed upon every new mother. At its heart, Ashley's story reminds moms that there's no way to be perfect, but many ways to be great.